January 11, 2010 -- The Arkansas State University Museum has, for the third time, achieved accreditation by the American Association of Museums (AAM), the highest national recognition afforded the nation’s museums. Accreditation signifies excellence to the museum community, to governments, funders, outside agencies, and the public. Successful completion guarantees the highest standards in all aspects of operations: collections, management, and education. Fewer than 5% of American museums are accredited by AAM. Accreditation brings national recognition to a museum for its commitment to excellence, accountability, high professional standards, and continued institutional improvement. Developed and sustained by museum professionals for 35 years, AAM’s museum accreditation program is the field’s pri mary vehicle for quality assurance, self-regulation, and public accountability. It strengthens the museum profession by promoting practices that enable leaders to make informed decisions, allocate resources wisely, and remain financially and ethically accountable—all in order to provide the best possible service to the public. Of the nation’s estimated 17,500 museums, 775 are currently accredited, or fewer than 5% . 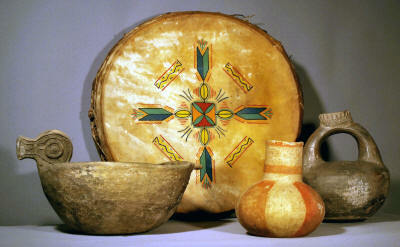 Arkansas State University Museum is one of only seven museums accredited in Arkansas. Accreditation is a very rigorous but highly rewarding process that examines all aspects of a museum’s operations. To earn accreditation, a museum first must conduct a year of self-study, then undergo a site visit by a team of peer reviewers. AAM’s Accreditation Commission, an independent and autonomous body of museum professionals, considers the self-study and visiting committee report to determine whether a museum should receive accreditation. While the time to complete the process varies by museum, it generally takes as much as three years. The ASU Museum is located at 320 University Loop Circle, Jonesboro, in the Dean B. Ellis Library building on the ASU campus, admission is free. Group tours, scout patches, and birthday parties can be scheduled by visiting the museum online (http://www2.astate.edu/museum/) or calling (870) 972-2074. Museum hours are Tuesday, 9 a.m.-7 p.m.; Wednesday–Saturday, 9 a.m.-5 p.m.; Sunday, 1-5 p.m. The museum is closed on Mondays and university holidays. The American Association of Museums has been bringing museums together since 1906, helping to develop standards and best practices, gathering and sharing knowledge, and providing advocacy on issues of concern to the entire museum community. With more than 15,000 individual, 3,000 institutional, and 300 corporate members, AAM is dedicated to ensuring that museums remain a vital part of the American landscape, connecting people with the greatest achievements of the human experience, past, present and future. For more information, visit www.aam-us.org.